Base prices: $174,900 (Sport)/$223,900 (Range Rover). Powertrain and performance: 2.0-litre turbo-petrol four with 13kWh lithium-ion plug-in battery pack, 297kW (221kW engine, 85kW battery)/640Nm, 8-speed automatic, AWD, Combined economy 2.8 litres per 100km, 0-100kmh 6.7/6.8 seconds. Vital statistics: 4879/5000mm long, 1803/1869mm high, 2923mm wheelbase, 21-inch alloy wheels. We like: True luxury in EV mode, still works off-road, PHEV price premium is small. We don't like: Little to tell the outside world you're electric, clunky gearlever on big Range Rover. 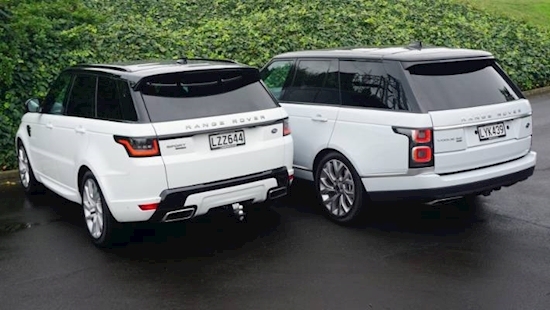 You wait ages for a plug-in Range Rover and then two come along at once. 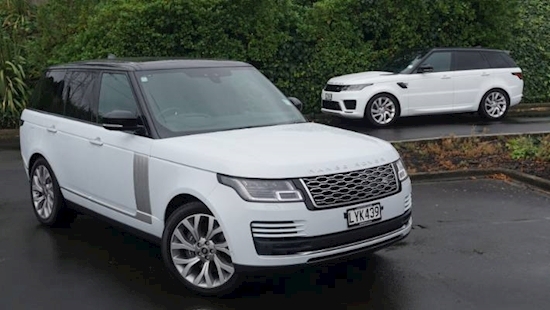 Land Rover New Zealand now has two Plug-in Hybrid Electric Vehicle (PHEV) versions of its Range Rover: the Sport and the big fella that it still just calls "Range Rover", which is confusing but kind of cool. Both have exactly the same powertrain, combining a 2.0-litre turbo-petrol engine with a lithium-ion battery pack giving a claimed 51km of pure-electric running. What's the point of these again? What's the point of a PHEV in general? To give you zero-emissions commuting ability during the week (so Monday-Friday, you really are driving an EV) but retain use of the longer-range and much more widespread fast-refuelling infrastructure of petrol when you go further afield. What's the point of a PHEV Range Rover? That's easy. These are exquisite luxury vehicles and electric power takes them to next-level refinement. Gliding along in silence in a Range Rover is a real feel-good experience; potentially a guilt-free one too. How far do they really go on EV power? Well, you do have to take that on-paper 51km and apply a bit of a reality check. After a week of commuting, we found that 35km was a pretty realistic figure on a full charge. That's pretty good by PHEV standards, especially when you remember that these are large, heavy vehicles (about the same 2.5-tonnes for each, despite their different physical dimensions). The 13.1kWh battery can be charged at home in about seven-and-half hours (so very much an overnight thing), or in about two-and-a-half hours using a gruntier "wallbox". When you're finished being obsessive about running on pure-electric power, the powertrain retains impressive battery capacity for petrol-electric running. Even if you're technically in "hybrid" mode in city driving, it's still running on silent electric power a lot of the time. How do they compare to the conventional versions? Both of the P400e models are essentially the same as their conventional equivalents - just with that PHEV powertrain that combines battery power and a small-capacity turbo-petrol engine. 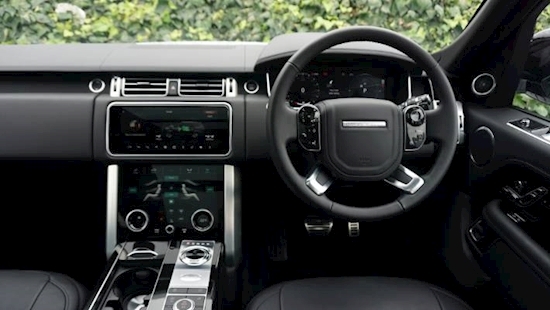 The Range Rover Sport HSE Dynamic P400e (there's a mouthful) is $7000 more expensive than the same-specification SDV8 4.4-litre turbo-diesel (0-100kmh acceleration is almost identical), although the plug-in does pick up an upgraded audio system and panoramic roof. 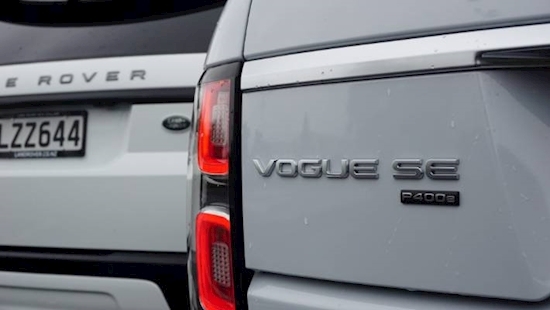 The Range Rover Vogue SE P400e is just $2000 more than the SDV8 equivalent and again, very similar acceleration to 100kmh. Range Rovers are supremely luxurious vehicles, so driving around on silent electric power creates a pretty awesome ambience. The P400e powertrain does have a very different character to the equivalent SDV8 turbo-diesel of course. Bit more lively and way more refined in urban running, where the diesel can feel a bit laggy and sluggish. The PHEV is no match for the massive torque and deep soundtrack of the SDV8 at speed on the open road, although the P400e does make good use of its battery boost to maintain strong performance even when you're pressing on. The opportunity cost with the P400e is that it definitely sounds like something with a four-cylinder engine (which it is) under load. Not normally a fan of fake noise, but this PHEV powertrain would be a good candidate for an enhanced soundtrack in the cabin to make it feel a bit more special at speed. 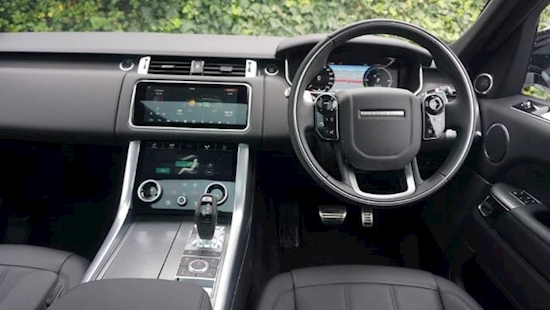 Otherwise it's standard-issue super-luxury Range Rover: the Sport is a bit sharper and has a proper gearlever, the big one is magnificently roly-poly yet also astonishingly tenacious in turns. In the latter, there's a key ergonomic difference in the shape of a weird rotary gear selector. You do lose quite a bit of towing ability by going PHEV: a tonne in fact, with maximum braked rating of 2.5 tonnes. So if you're using your Rangie mainly for boating and/or horsey things, a PHEV version might not necessarily be the one for you. One last thing: you can't really tell a P400e from any other model save the tiny badge on the tailgate. Even the charge port is hidden a section of fake grille. Sustainable stealth. Can you get them wet? Hilarious. 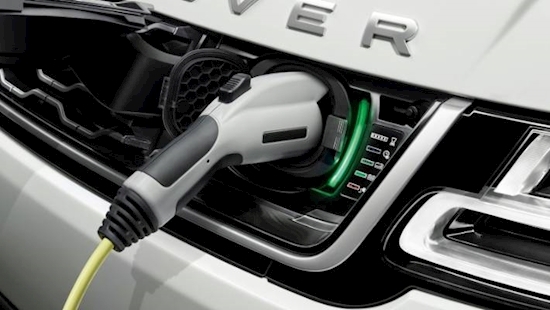 In fact, Land Rover says the off-road ability of both models is unchanged in PHEV form. 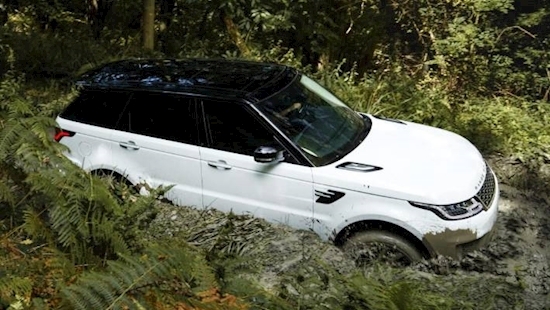 The big Range Rover can still do stuff that few other SUVs can, like wade through 900mm of water (or 850mm for the Sport, which is also deeply impressive). One thing you can't actually do is operate them in hard-core off-road environments in pure EV mode, mostly because the powertrain needs the exhaust running to keep the wet stuff out of the works when you're wading through water and mud. Now that'd be embarrassing. Any other cars I should consider? ​PHEV technology actually suits big SUVs really well. Potential rivals for this brace of Rangies includes the Audi Q7 e-tron (that one's a diesel), the Porsche Cayenne E-Hybrid and Volvo's XC90 T8 "twin engine" model. There are more coming, including PHEV versions of the latest BMW X5 and forthcoming Mercedes-Benz GLE - the latter with some fairly bold claims about EV-only range (like, up to 100km). All of that is without getting into existing/coming pure-electric SUVs. Because that's another argument entirely.